Our dog is big. 40 lbs at 4 1/2 months old big. He’ll probably end up around the 100 lb mark like his daddy…which means he eats. A lot. 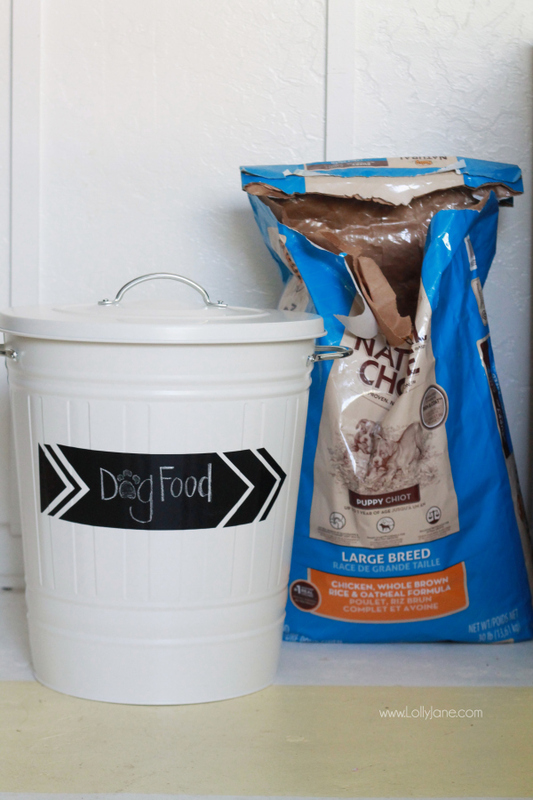 So we buy 50 lb bags of food at a time and since our kids are in charge of feeding him, those little pebbles end up scattered around his dog of bag food. Which means some gets wasted and some gets stepped on, which also means Mama has to sweep it up later! 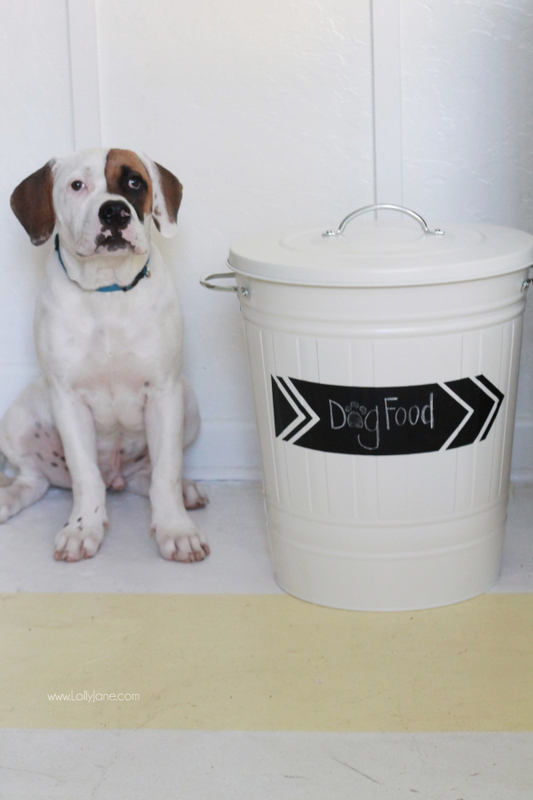 If you’re a dog lover like me, you’ve also probably wondered how you could make your dog’s food naturally blend into your home decor. 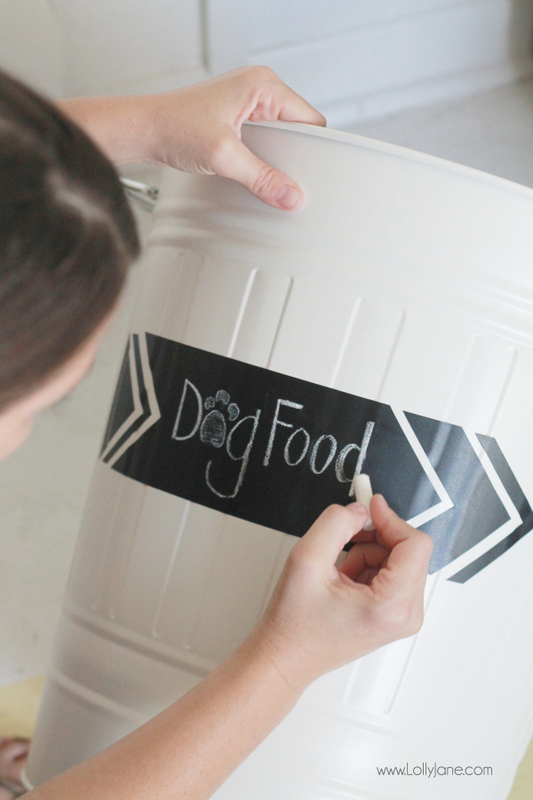 So to fix these little problems, we’ve come up with an attractive way to store our Murphy’s food: a pretty trash can with a chalkboard label so others know what’s inside. The bonus? Our little sweet pup can’t get the lid off, so no sneaking meals. 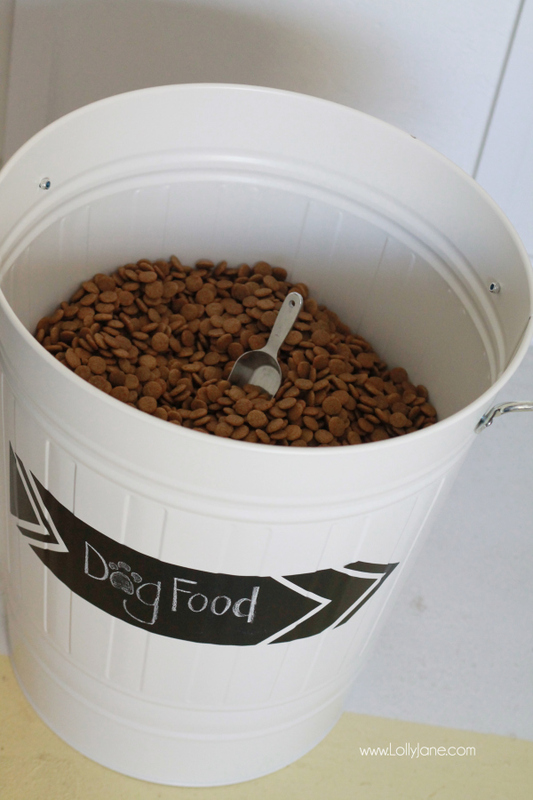 We are loving this fast dog food storage! With 6 young kids between us, we try to keep it simple over at Lolly Jane. So the only supplies you need is this pretty can from Ikea, $25 + some chalkboard sheets (we snagged ours on Amazon). 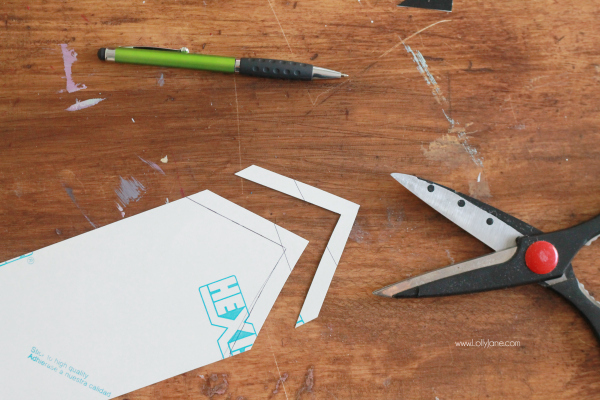 We do have a couple of great cutter options but decided to free hand this design instead. We just flipped it over and traced some lines to create arrows. Be sure you season your chalk surface by lightly rubbing the chalk over the part you’re going to write on. Rub it off and you’re good to go! 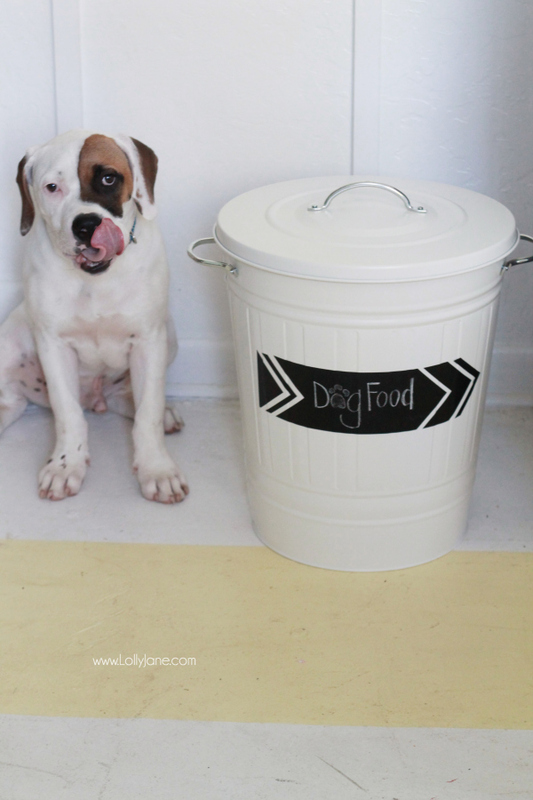 There you have it, really easy and very pretty dog food storage! We nabbed this cute scoop at World Market in their kitchen section. 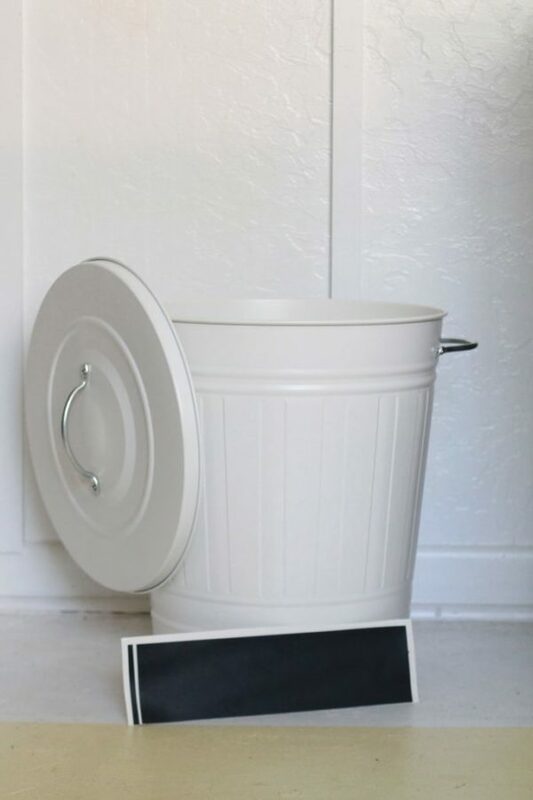 Isn’t this solution so much prettier than a raggedy bag hanging around? 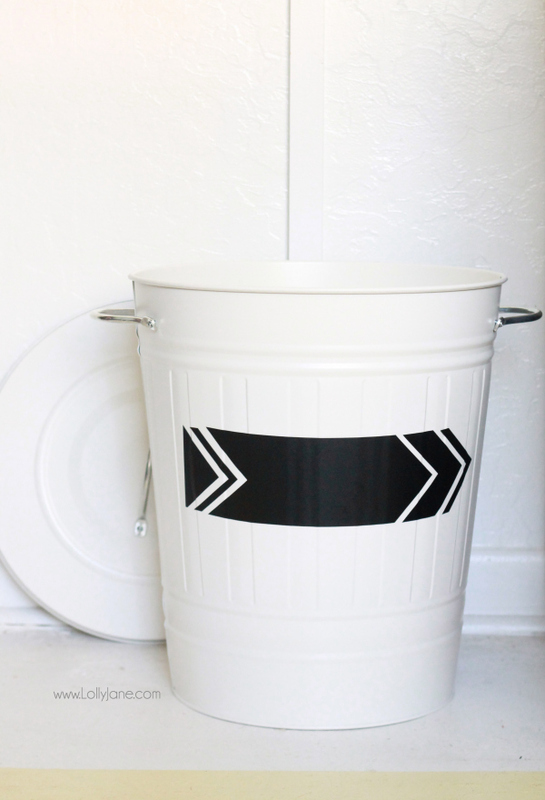 Visit all of our easy DIY projects on our site. Follow along with us on our blog, Pinterest, Instagram or Facebook to see what other projects we’re constantly coming up with.